Swiss Air – Disappointing is an understatement! According to my source, she said that they would be bought from the Indian shops. Because they are used to make lassi and yoghurt dips which are staple food for the Indians. Hi, I’m interested to get live kefir. Which store particularly in Tekka? i only been to the food court & the touristy kiosk area twice. Not really familiar with Little India. Someone told me it could be bought at the tekka market. I don’t know exactly which store. 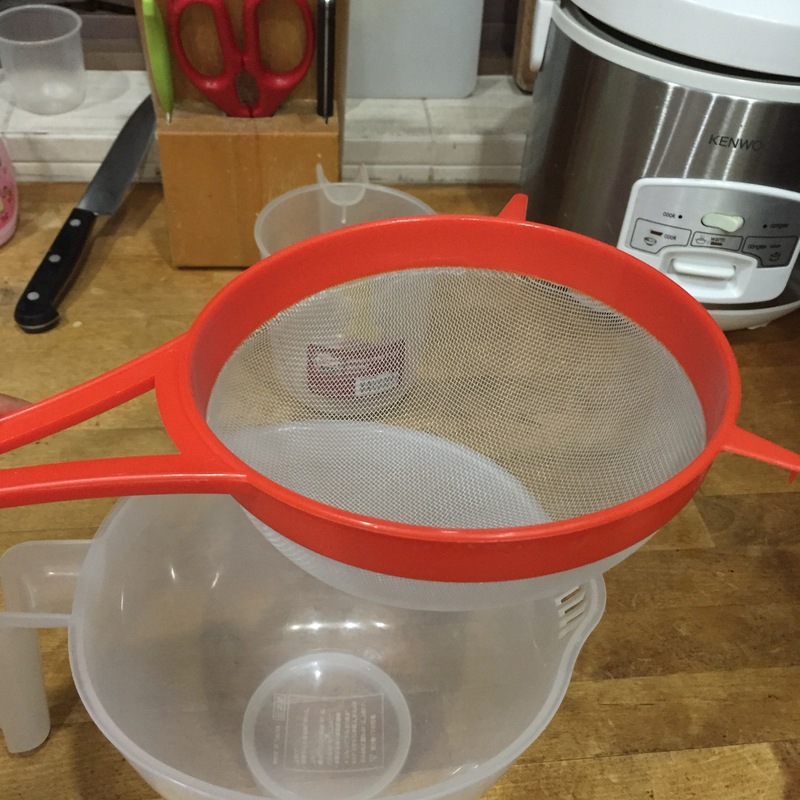 Or you can but dehydrated kefir grains online. You will have to reactivate them. Hi! I have live water (not milk) kefir grains to give away. ‘Grown’ with sucanat (dehydrated cane sugar) and Volvic mineral water. Do email me if interested. I haven’t tried that before. Yes I’m interested!! Hi Zhi Wei, do you have any milk kefir grains to spare? Tekka mall is huge, can you kindly indicate if it’s right inside the wet market or elsewhere? Thanks! Hi Ming! I’m currently overseas. I’ve asked my mom to babysit my kefir. Let me see if I have extra to spare when I get back. I think it’s inside the wet market. Hi Zhiwei, a note to say that my inbox seems to have a problem. When you do email, I think you better give me a shout here on your blog. Thanks in advance ! Hi Ming my kefir grains were starved to death in my absence. 😢 let me get more from my friend then I’ll pass them to you once I multiply. My email address is lyewenjing@yahoo.co.uk in case you need to email me. Ok sure!! Let me check if they survive my absence…. I’ll let you know. I sure hope they survive!!! Do you have extra kefir grains to give out? Would like to try, diagnosed with eczema 4months ago.. I was away for almost 3 weeks. 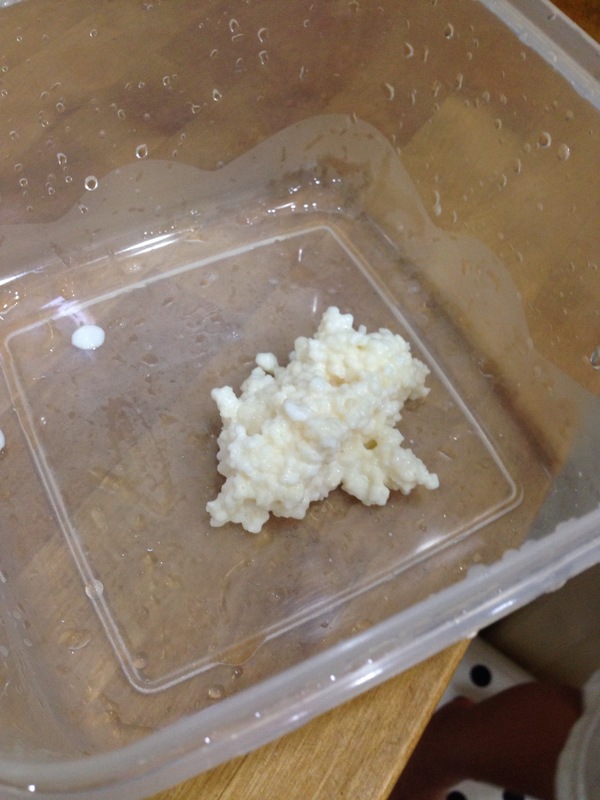 My poor kefir grains have perished from starvation… My mom didn’t feed them very well…. I’m getting more from my friend. When they have multiplied I can pass them to you. Hi! My grains have multiplied. Let me know if you want the extra kefir grains. Hi Zhiwei can I get some kefir grains to try. Have suffered from atopic eczema since I was a kid. Would greatly appreciate it! Yes. I’m giving them away to some people. You will to wait until they multiply again. My grains have multiplied. Would you like some? They will be ready in 2 days’ time. If yes, let me know. Or else I’ll pass them to someone else down the line. that’s really kind of you Zhiwei. Thank u ! Hi Danny! I’ve extra grains now. Do you still need them? They should be ready in 1-2 days’ time. Hi Zhiwei, do you xtra Kefir grains, can i get some from you please.. Thanks a lot. Hi Rina when my grains multiply I’ll let you know. Hi, my milk kefir grain has be multiplying and I have extra grain to share. Great!! Thanks Steven! Can my readers beep you for grains? Hi Steven, can I get some grains from u? How do I get in contact with u? Through FB? Thanks a lot. Hi Steven, can i get some grains from u? How so i get in contact with u? Through FB? Thanks a lot. Anyone hv milk kefir to spare? Sorry. I don’t have any extras now. I’ll let you know when I do. Hi Mak I’ve extras now. Do you still need them? When I’ve extra I’ll let you know? Thanks for the offer. I just bought from Amazon. When mine multiply I can share too. Great!! Hope you reap the benefits! Hi, anyone have milk kefir to bless? When mine multiply I’ll let you know! I would like some water and milk kefir grains if you have any to spare. My hp no is 98309663, I can come to you place to collect. Hi Casey! When mine multiply I’ll let you know! Hi Zhiwei, previously didn’t manage to get from Steven, it’s all OOS from his side, please let me know if u’ve extra spare to share. Thanks a lot. Thanks a lot Zhiwei, may I know how to get it from you? Thanks a lot. Hi Zhiwei! I would like to ask if you have any spare water kefir grains to share? 🙂 thank you! May i ask if you have any water kefir grains to spare? Hope to hear from you soon. Thank you. Hi Jamie I have only milk kefir now. I haven’t started on water kefir yet. Do you have extra kefir milk grains to spare? This will be my first time trying to make kefir and would like to treat constipation and boost my immune system. I hope this will work. Really appreciate it. Cheers. I just gave away 2 batches of grains. I’ll have to wait for them to multiply. Hi Zhi Wei, may i know what brand of milk do you use ? I would love to get some milk Kefir grains from you. I just gave away 2 batches so I’ll have to wait for them to multiply. Hi, i need some kafir grains. pls help me. i am living in singapore. Hi Zhiwei, could I get some milk kefir from u for my family pls? Can anyone tell me where to buy water kefir grain please thank you! Sorry I don’t have water kefir. Its OK tq anyway but may I know where u buy yours? Sry make a mistake didn’t read your reply properly. Thks anyway! This group has many sweet people willing to bless others with the grains n share their knowledge n experience. Do you still have some kefir grains to spare please? I’ve more milk kefir grains now. Do you want them? Hi! if you have any extra milk/water kefir grains, i’d like to get some! It’s for the family and fur kids 🙂 let me know when you do have some to spare (saw that you gave some away recently). Thank you! Yes. I’ve given some away. When they multiply I’ll let all of you know. I don’t have water kefir grains yet. yes. Thanks again Zhi Wei. Please email me the details where I can collect them. Hello Zhiwei, can I have some milk kefir grains from you. I have water kefir grains to share if you want some. My email address is ciliatanchun@gmail.com. I’ve some milk kefir grains to give away. You can email me for them! After this round, I’ll have to wait for them to multiply again. Found your blog after googling for milk kefir. Would appreciate if you could spare me some. Need it for the doggie as it has a bad case of yeast n bacteria infection. Thanks again! Today is a great day!! Do u have extra milk kefir grains to give away? I am staying in East side of Singapore, do you know of anyone in the East side that grow milk kefir grains? My email is sharontaykh@gmail.com. I’m living in the east. My grains have multiplied. I can give some to you. Can you email me at lyewenjing@yahoo.co.uk? Do you have any Kefir grains to share? I recently read about it and would love to try to make them. Thanks for the Kefir grains!! I managed to make Kefir milk and Kefir sour cream. Yum! Do you have milk kefir grains to spare? I have been wanting to try milk kefir for awhile. Hi Guys! I’ve just given quite a fair bit away. Let me multiply my current ones and I’ll let you know when I’ve more! No worries. Whenever it’s available, let me know to collect. Thank you so much. Hi Vincent! My milk kefir grains have multiplied. You can come and collect them from my place in Tanah Merah. Email me at lyewenjing@yahoo.co.uk. The grains I obtained from Zhiwei has multiplied. Let me know if any of you want it. Ashley it’s great!! Thanks for sharing! So glad to have gotten milk kefir grains from you 🙂 and since they’re multiplying, thought I help with the sharing process when I have extras 😉. Anyway have tried using kefir and the extra grains to make bread and it taste great 😊 no need dry yeast. Cool!! Yes it does!! So happy that it’s useful for you! Hi Ashley, can I get some from u as mine somehow died long ago. Thanks a lot. Would love to learn from you and also obtain some kefir grains. Trying to heal my digestion. Hope to hear from you soon. How can I contact or get in touch with you? Hi Cher! I have given a bunch away. They will probably multiply again in a week’s time. Sure. You can drop me an email at ashley83_sg@hotmail.com. I am interested in making Water Kefir Grains. Do you have some to spare? Hi Jen my water kefir grains are in hibernation. I’m not sure if they still work. If you are game to try them out I can pass them to you. Please also spare me sone Water Kefir grain when you have it. Hi Charlotte I’m afraid my water kefir grains aren’t working anymore. 🙁 I hope you will find some soon. 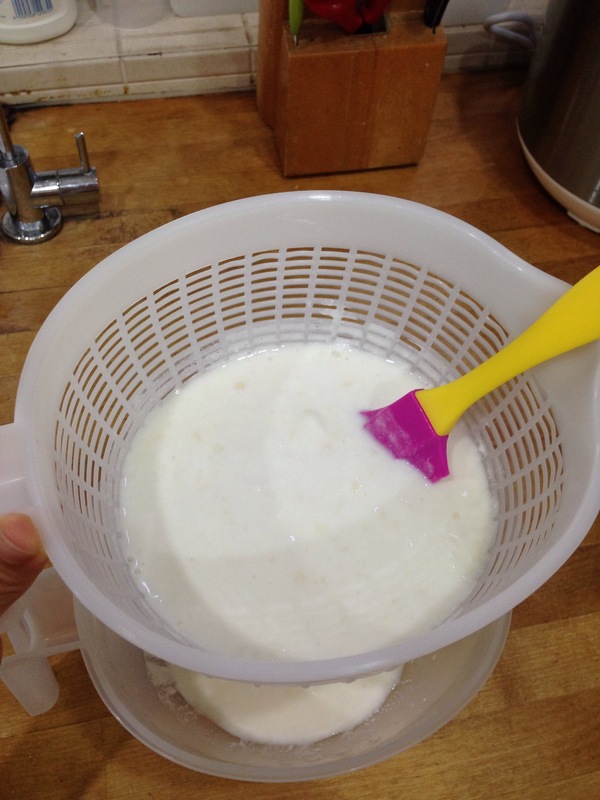 I am searching online about milk kefir and came across your blog. do you have any space milk kefir to bless? I also long heard the benefits of kefir and would like to try. Hi Ivy! I’ve just given a lot away. When I multiply them I can pass them to you. I’ll need another 1-2 weeks as there are a lot of people in queue for them. Like the page. Then put share it on your Fb with a mention and pm my page in Fb with a screenshot. 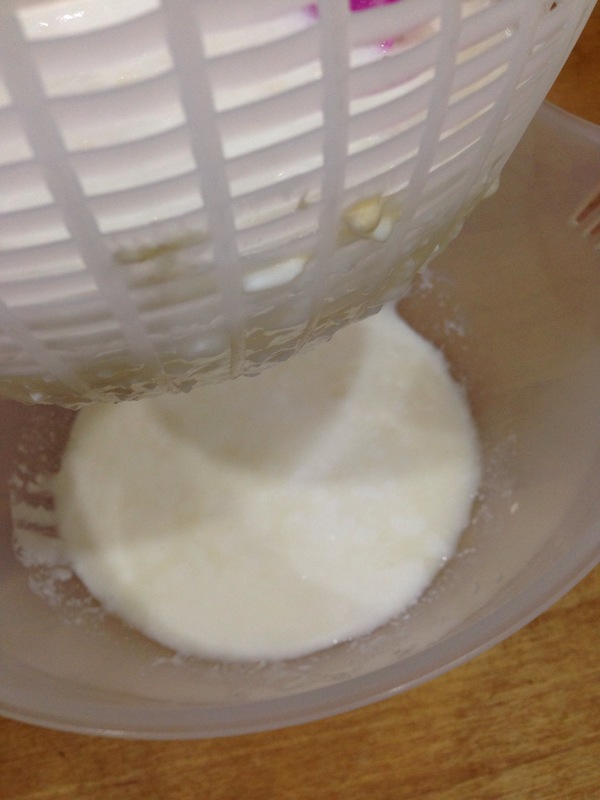 I was so elated to read your blog.I have been reading about the live milk kefir grains for two weeks now and was really disappointed for not being able to find it in HK where i resides and work currently. Im a singpaorean, and lately suffers from terrible skin allergy 2 years ago. My daughter , son & I suffers badly due to lactose intolerance in milk since young. 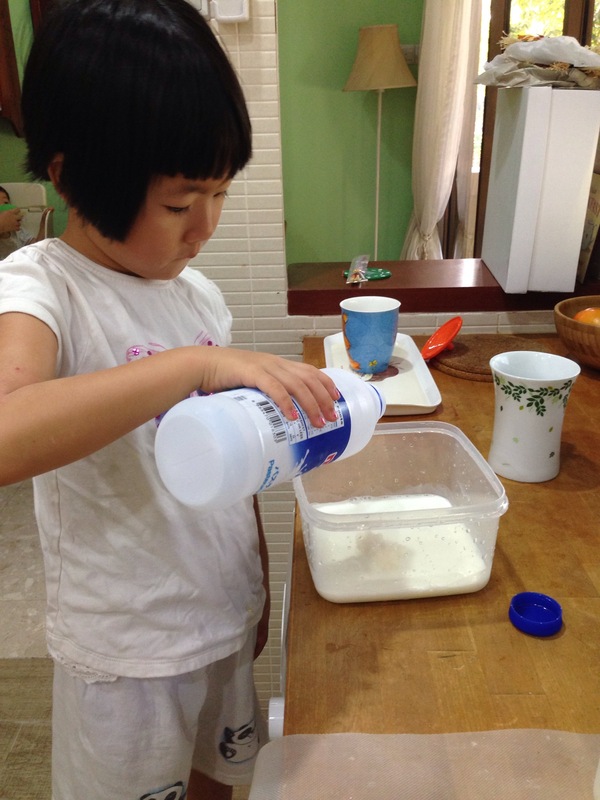 I read making milk kefir drink to drink can reduce /relieve these problems I have due to its strong good bacteria properties.My son likes smoothie a lot so I vcan only use soy milk as a substitute instead of fresh milk. I’m very interested to try it desperately. I have search in HK and cannot find the live milk kefir grains available.I wonder if you can help and have some grains to give away. I’m returning to Singapore on 30/2/16 to 11/2/16 and depart on the 11/2/16. I’m staying at a relative house in Changi and can be mobile. Hope to hear or get help from you soon.Many thanks and regards Jane LIM. Hi Jane! It does help with allergies as most allergies arise from gut health. However, if you are lactose intolerant, you may want to try a little first. I know of people who are lactose intolerant and are perfectly fine with milk kefir as most of lactose have been “eaten” up by the bacteria as food and turned into good bacteria. However I’ve also known people who are lactose intolerant and can’t take milk kefir too. It depends on individuals. I should have enough for you when you are back in sg. Like the page. Then put share it on your Fb with a mention and pm my page in Fb with a screenshot? so kind of you. I wonder if you knew whether the keffir will spoil if it is placed in my checked in cooled foam box in the airplane baggage compartment.I can be reached by whats apps.contact phone +852 91867826 if you can contact me. I do not have a face book account. My father has found that cultured foods have been very beneficial for him as well. He is now into making kombucha, kefir and sauerkraut. His kefir is made with powder from iherb tho. My dad is ecstatic with the possibility of getting his hands on kefir grains! It’s great that your Dad is into cultured food! It’ll surely benefit him and your whole family! 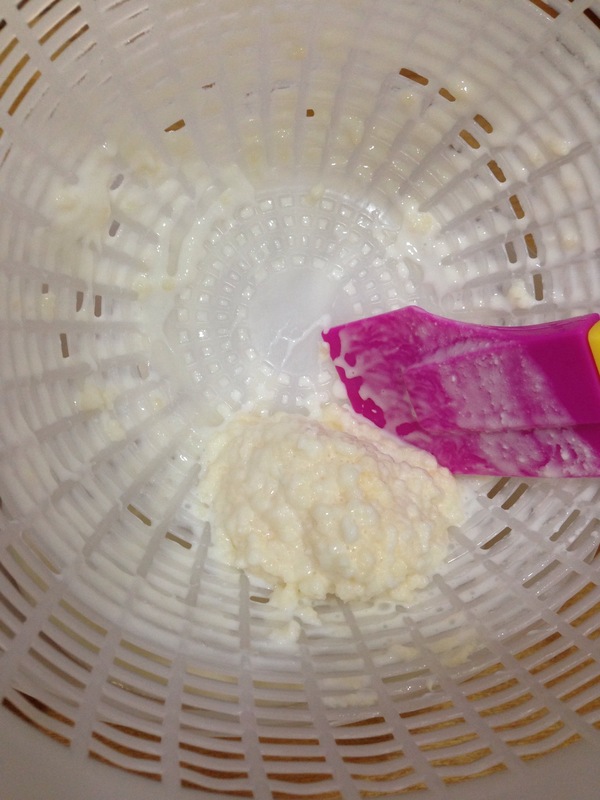 I am interested in making milk Kefir Grains. Do you have some to spare? I am staying in pasir ris area. Milk kefir grains I received from Zhiwei has multiply. Let me know if you need some. Area: Pasir Ris near white sand. Okay to give away this weekend but will be out of Singapore from Sun night for 1.5 weeks. Hi my milk kefir seems to die off. Anyone is Woodlands area who is willing to spare some? I am also keen to try water kefir. Hi I am looking for milk kefir grains. Can anyone spare me some? Hi zhi wei and ashley. Wondering if you have anymore milk kefir to spare? I’ve been looking high and low for these babies! Hi ratswithtails, I’m so sorry that I’ve no milk kefir grains to give away now. All of them are in full production mode and we are still behind on our orders. Maybe one of my ex donees may have extra to pass to you. Hi Zhiwei… Would like to have some milk kefir grains too .. My mini schnauzer have got skin infection … Thank you very much ..
Hi Danny! I’m sorry that I don’t have spare milk kefir grains to give away now. All of them are maxed out in production. We have overwhelming orders for our milk kefir drinks. Hi Ashley, I would love to have some milk kefir grains. Let me know how to get in touch to collect from you. I just passed some to Lisa on Monday. Have another batch to give out. Hi Ashley I need milk kefir grains to heal my family. Kindly let me know if you do have at pathmahbk@yahoo.com. Thank you very much. Can anyone share or sell me the kefir grains. and they are both G6PD , immune system tend to be very weak. Hi, I live in Upp Bt Timah. Does anyone have water kefir or milk kefir grains to spare ? I heard that those obtained commercially or from freeze dried do not have as many strains of bacteria . Is that true? Hi Zhi Wei or anyone who has spare milk kefir , can kindly spare some for me ? Tks ! Hi Zhi Wei and Ashley, I am very inspired by what I read here. May I request for some grains please as I am have been sourcing it for many months but failed.. Please send me email: fiyawn@yahoo.com.sg. May I have the pleasure to get some milk kefir grains from you for my two children? Hi, would appreciate if anyone can share or sell me kefir grains. my 2 kids just recovering from stomach flu, been diarrhea and vomiting for many times. Heard kefir provides good bacteria, which my kids need. Please let me know if you have any kefir grain to spare. My email is Joannetgy@gmail.com. I am pick up from you. Any kefir grains to spare?